Do you know what a Baby Guinness shot is? Contrary to its name, there’s actually no Guinness beer involved. 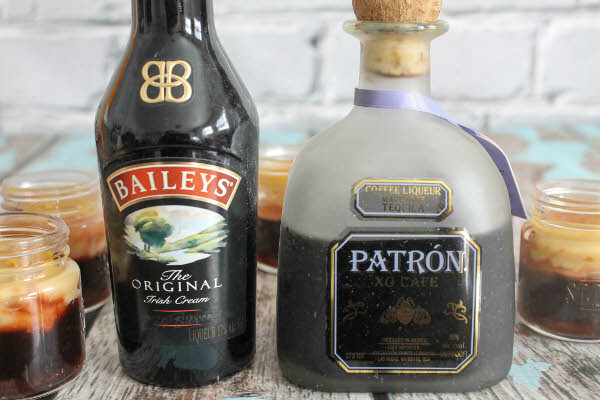 Instead it’s a shot of Patron XO Cafe (coffee liqueur made with tequila) topped with Baileys Irish Cream. So it just looks like a little version of a pint of Guinness, with dark “beer” at the bottom and “foam” on top. It’s sweet, and strong, and tastes like dessert. Naturally, it’s my very favorite shot out of all the shots out there. It’s hard to improve on this delicious shooter, but I think I just did. Because if there’s anything more fun than a regular tequila shot, it’s JELLO SHOTS! Don’t worry, I’m not about to go all spring break on you. I’ve made jello shots before (these St-Germain Pomegranate Jello Shots) and I’ve always kept it classy and sophisticated. I promise I won’t stir you wrong when it comes to dessert-like alcoholic drinks and cocktails. For the jello shots, the “beer” portion is made of coffee flavored jello, spiked with Patron XO Cafe. You can have coffee flavored jello if you remember to buy plain gelatin, and then use cold coffee instead of cold water when preparing it. However, I actually ended up using black cherry jello and cold coffee. 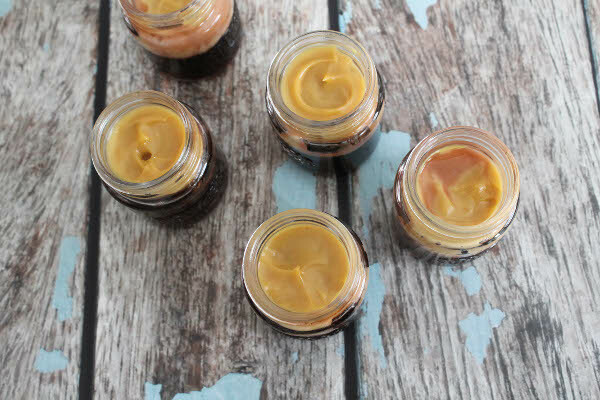 One of my friends suggested using that, and I really liked the idea because not only is black cherry jello already a naturally dark color, it would add a very subtle sweet-tart flavor to the jello shots. 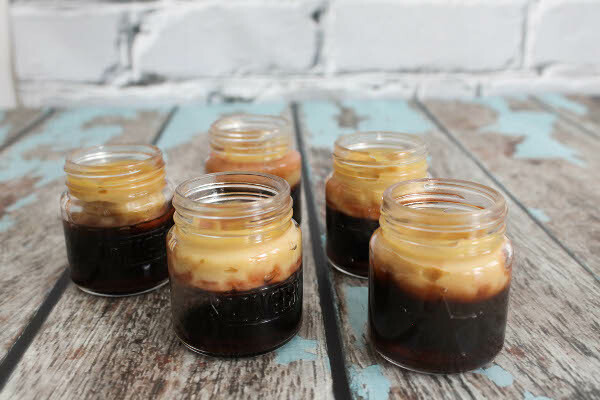 I absolutely loved these Baby Guinness Jello Shots. 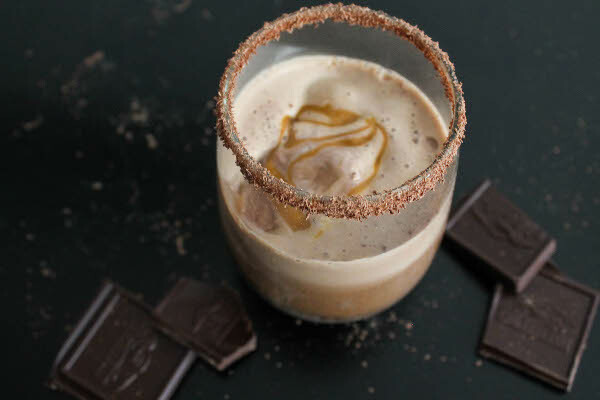 The coffee-tequila jello was so good – it tastes intensely of coffee, which pairs very nicely with the creamy pudding topping. 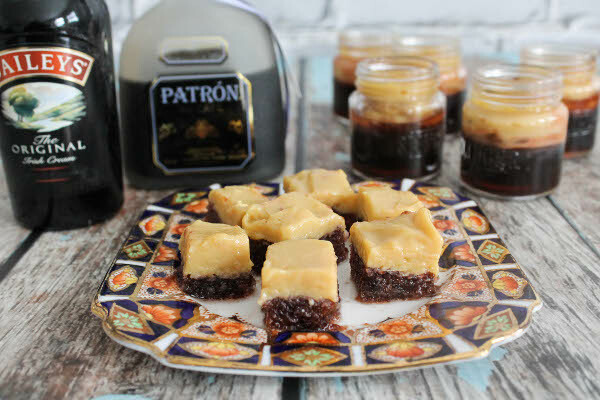 I also made square versions of these jello shooters (just poured into a square pan and sliced into squares, instead of using individual shot glasses), but I underestimated the coffee jello portion, so the proportions ended up more like 50% tequila jello shots, and 50% Baileys pudding. But no one complained, and everyone was happy. Because everyone’s always happy when there’s jello shots involved! Make the "Guinness beer" portion. In a medium bowl, add boiling water to gelatin mixture. Stir for 2 minutes until completely dissolved. Stir in cold water and cold coffee. Pour into individual shot glasses and/or square pan. Refrigerate for 2 hours. Make the "foam topping" layer. Beat vanilla pudding mix with 1 cup of cold milk and 1 cup of Baileys. The pudding will soft-set in about 5 minutes. Spoon on top of coffee jello shots or spread on top of pan. Refrigerate the jello shots for at least another 2 hours. If you are using a square pan, you might consider freezing for easier slicing. This recipe should make around 16 1-oz shots. 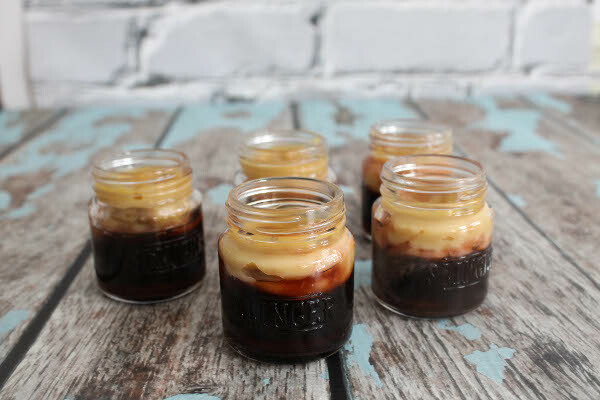 But if you’re like me and can’t resist jello shots (and anything in a mason jar – especially an adorable mini mason jar), then definitely try these Baby Guinness Jello Shots. Do you have any favorite shooters that can be turned into jello shots? Let me know! 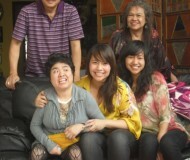 Love this, Bianca! I didn’t know what baby guiness shots were but now I do, thanks to you. That foam on top is genius! Thanks Monica! It’s soooo good. I had never heard of baby guinness shots before! Learn something new every day :) I love how these are layered – so cool looking! Wow Bianca, baby Guinness shots are the cutest shots ever! Need to have some next weekend! Thank you Lily! Let me know how you like it. These look divine! Loving Guinness recipes – they sound so great too! Thanks Jess! Perfect for St. Paddy’s! i swear, you get more creative each year with each season!! these are adorable. I had no idea what a baby guinness was until now! Thanks for teaching me something new today! These are such a cute idea and completely new to me! They sound really yummy, too. Hmmm…I can’t say that I’ve ever heard about Baby Guinness shots before. But they sound awesome! And the fact that you turned them into jello shots? Even better! I’m thinking I need to start my St. Patrick’s Day off with one of these…so creative! These Baby Guinness shots are so adorable! I’d be happy if I could try these too :) Love this idea! Thanks Kelly! Let me know if you do get to try them! 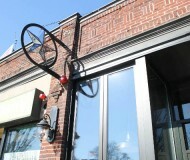 This is new to me but I want one! I did however, post a recipe with Guinness and it is black on the bottom and white on the top – love this stuff! Happy St. Patrick’s Day – I guess it’s big news in Boston – everybody’s favorite holiday! I remember baby Guinness shots and you definitely made it even better! These are so cute! And Baileys pudding – I’m sold! 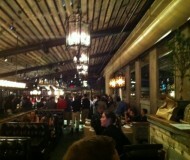 OMG…SO fun. I have to admit, I do love an Irish car bomb, but can only have one before I’m done. I’d be popping these jello shots like they’re candy, though! Oh I had no idea what a baby guiness shot was. I want one … maybe two of them!! Only you could make this happen. These look awesome! Ah, these are so fun. I must make these for our next party! Wow! I had no idea what to expect when I saw Baby Guinness Jello Shots. What a mind-blower! I love this. So festive and creative. Is it ok that I want one at 11:00 am? Always learning something new…I have never heard of Baby Guinness…it sure sound and look beautiful Bianca…I would love to try it!